First set of PZL P.7a is almost ready for production run. Latest adjustments in tooling were listed and are processed now. It will took about a month before first production run. Release of kit s planned for June 2017. We feel great relief as it was ambtious project with many problems that appeared in process. We are very happy with corrugated panel on wing and tailplanes that are very well rendered in kit. More details, including phtos of parts and box content will be published in following weeks before release. I'm sure that the resin Bristol Jupiter engine will be available too /with or soon after the release/. The PZL P.7 was a Polish fighter aircraft designed in the early 1930s at the PZL factory in Warsaw. 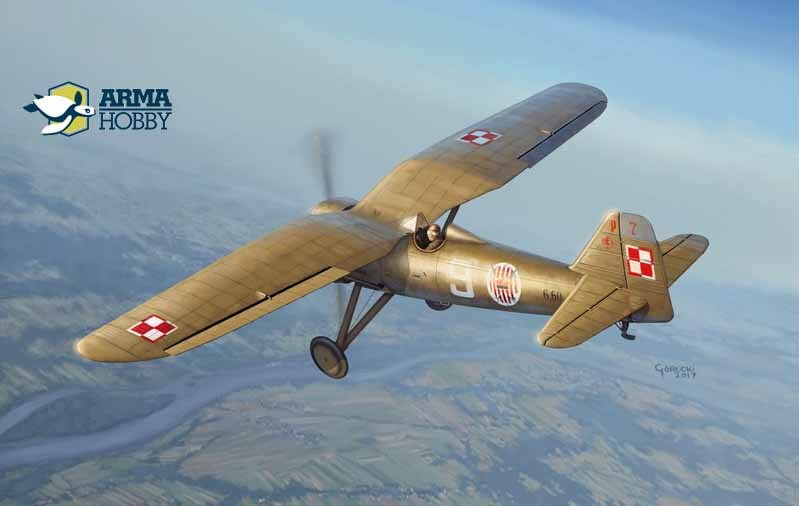 State-of-the-art construction, and one of the first all-metal monoplane fighters in the world between 1933 and 1935, it was the main fighter of the Polish Air Force. It was replaced in Polish service by its follow-up design, the PZL P.11c. More than 30 P.7 fighters remained in service during the Invasion of Poland, scoring several kills despite its obsolescence. Info and photo courtesy Wikipedia.